The week is actually not complete without the Apple rumors or the updates from the company. The latest good news for Apple users who are eagerly waiting for the new iPhone is that it will be soon launched in the month of September this year. The news has been reported by DigiTimes. It even highlights that the 7 inches iPad mini will also be launched in August along with the fourth gen iPad to be there in 4th quarter of 2012. 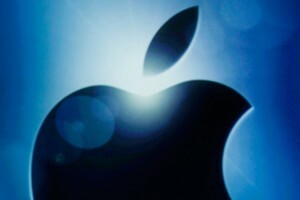 The next iPhone by Apple will be launched reportedly in September and the iPad mini in August, as per DigiTimes. Apple has the plan to launch the iPad mini to be followed by the launch of iPhone and the latest 10 inches iPad eventually. The iPhone is expected to be with larger, bigger display screen, maybe 4 inches as well as with slimmer design. It may even feature the use of the great Liquidmetal technology. While there have been much rumors and news that the brand will launch cheaper and slimmer iPad in order to survive in the cut throat competition with other Android based devices like Kindle Fire, it is tough to believe that the brand will be launching the variant of iPad this year only. If the company decides to launch the smaller iPad i.e. the iPad mini, it is expected that the next generation iPad will also be launched soon. iPad mini may not require the re-write of the existing applications as the size of the user interface components rendered on the 7.85 inches screen will conform to the guidelines of the brand. It is further seen that Foxconn will be manufacturing the low cost iPad mini and this will serve to be the main rival or competitor to the Kindle Fire. Also, the iPad mini will be cheaper than the original iPad. If it is to be believed that Apple launched iPhone every year, then the annual release system for iPhone will lie somewhere around October as the iPhone 4S was released in October 2011 last year. Also, as there is not even a single precedent for iPad mini, the August launch seems to be great. Apple in fact has the tendency of launching the tablets in spring, although it may be aiming at the impulse consumer market in run up to the Christmas and New Year time with the smaller gadget commanding low cost. Last but not least, it is expected that the year 2012 will be complete with good news and launches as the iPhone and iPad mini will be released soon.